While these elements are important for everyone, they are especially important for women who are pregnant, plan to become pregnant, or have recently given birth. Last week, we covered exercise. This blog will explain the importance of our thoughts and mindset. Just as it is important to fuel your body with the proper nutrition you must feed your mind good thoughts. Winston Churchill once said, “Attitude is a little thing that makes a big difference.” Often our thoughts influence the outcomes of events in our daily lives, both positively and negatively because of self-fulfilling prophecy, a belief or expectation that an individual holds about a future event that manifests because the individual holds it. For example, you may expect things to go wrong on Mondays because subconsciously your mind believes that Mondays are bad days for you. How might things be different if you woke up and thought, “It’s Monday, a new week with wonderful opportunities?”. Such a small change can make a huge difference in your life. Positive thinking reduces stress, gives you better health outcomes, decreases depression, increases lifespan, and overall makes you a happier person. People who are optimistic are better able to deal with unpredictable circumstances. Here are four habits you can incorporate daily to help shift your mindset to help you get where you want to be. Gratitude – In the morning when you wake up take a minute to be thankful for three things in your life. When we learn to appreciate and notice what we already have it makes us happy. Consider keeping a gratitude diary to reflect on the things that are good in your life. Visualize what you want – Do you have a dream you want to achieve? Have a goal that you want to accomplish? Write them down as if you have already accomplished them, and be specific. For example, I got that promotion at work, I bought that new house or car, I traveled to Australia for two weeks, or I lost ten pounds in July. Whatever you want write it down and imagine it as if it has already happened. If you are clear about what you want you will see and seek opportunities to get you there. You will be surprised by the doors that open for you when you are aware of your goals. Changing your thoughts – Use positive language when talking about yourself. Look in the mirror and tell yourself something you love about yourself. If you are struggling and having a rough day change your perception. A simple shift in a word you use can set the tone. 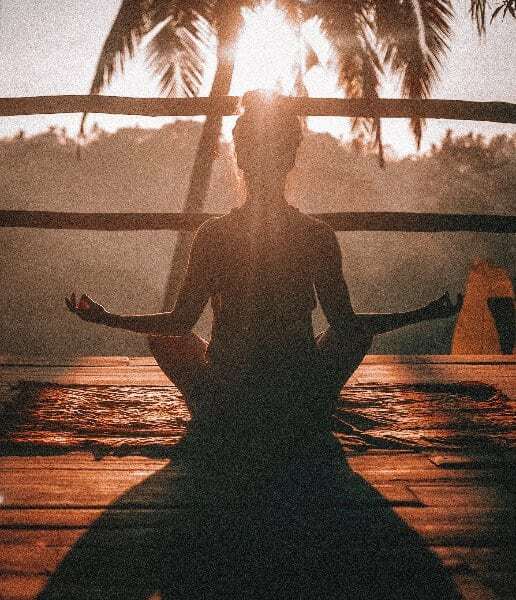 Personal Time – Take some quiet time where you can just relax or do something you enjoy a few minutes each day—like read, listen to your favorite music, meditate, or just enjoy the sunrise or sunset. Sometimes just taking a few minutes for yourself can help to recharge your emotional battery! Remember that mindset is a journey. You take steps each day to work on it. You don’t have to be perfect just be better than you were yesterday. If you are interested in having something to guide you and help you in improving your mindset, check out these two wonderful apps! Expectful – is guided meditation for your fertility, pregnancy, and motherhood journey. Hopefully, you see how all of the components in our series work together to create a healthy person as a whole. Perhaps, the most important factor of all is your mindset. You are the only person in control of your thoughts and how you are living your life each and every day. You are ultimately responsible for what you do and think. No one else. Believe it and you can achieve it!